Inspired by our vast, fertile prairies, rich soils, and pristine lakes, ACANA Wild Prairie features unique regional ingredients delivered fresh or raw from western Canadian farms and waters. 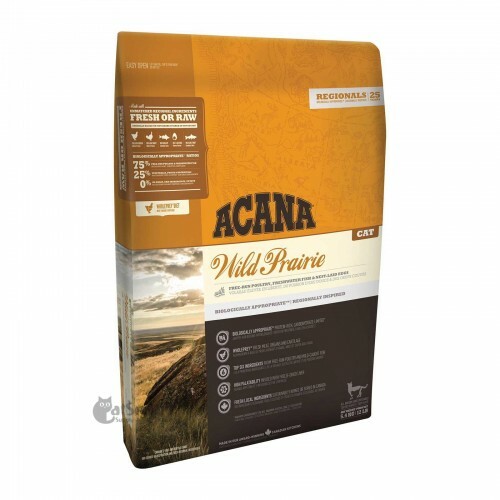 Loaded with free-run chicken & turkey, cage-free eggs, and wild-caught fish that are delivered to our kitchen in WholePrey ratios, ACANA Wild Prairie is brimming with natural goodness. Trusted everywhere, protein-rich ACANA promotes peak conditioning in all breeds and life stages. Read our ingredients and we think you’ll agree! ACANA Wild Prairie features a rich variety of farm-fresh ingredients that are raised or fished by people we know and trust, deemed fit for human consumption, and delivered to our award-winning NorthStar Kitchen fresh or raw. Fresh chicken meat (8%), fresh turkey meat (8%), fresh chicken giblets (liver, heart, kidney) (8%), chicken meal (8%), turkey meal (8%), whole herring meal (8%), whole green peas, whole red lentils, whole chickpeas, cage-free eggs (4%), fresh wild-caught walleye (4%), fresh wild-caught trout (4%), chicken fat (4%), fresh turkey giblets (liver, heart, kidney) (3%), whole green lentils, whole pinto beans, whole yellow peas, sun-cured alfalfa, pollock oil (2%), lentil fibre, dried chicken cartilage (1%), dried brown kelp, fresh pumpkin, fresh butternut squash, fresh parsnips, fresh green kale, fresh spinach, fresh mustard greens, fresh turnip greens, fresh carrots, fresh Red Delicious apples, fresh Bartlett pears, freeze-dried liver (chicken and turkey) (0.1%), salt, fresh cranberries, fresh blueberries, chicory root, turmeric root, milk thistle, burdock root, lavender, marshmallow root, rosehips, enterococcus faecium. 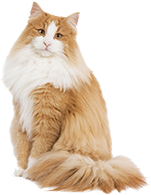 Visit Acana’s Website for full values of Vitamins, Minerals, Amino Acids and Botanical Inclusions!